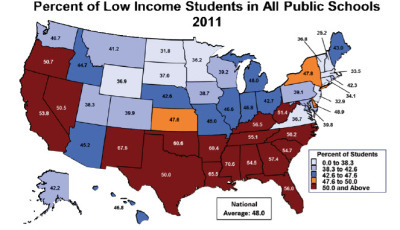 Alabama School Connection » Tell Your Elected Officials What You Want: Education Should Be a Priority! The 2012 elections are over. Most of our elected officials who have an impact on K-12 education were returned to their offices, with the notable exception of two new Alabama State Board of Education members: Jeff Newman in District 7 and Tracy Roberts in District 1. Current members Gary Warren and Randy McKinney decided not to run for re-election this year. The dust is settling, and it’s time for us to cozy up to our computers and tell our elected officials what we want for our children’s education and our community’s schools. And that we expect it to be a priority for them! We must be willing to share our thoughts (along with our full names and addresses) with our elected officials in order for them to hear us! Children don’t vote. We are their only advocates. By the time you have finished reading this, you will have compiled a list of your elected or appointed education officials’ contact information, will have decided what areas of education you are most passionate about, and will have put together a letter (or a script for a telephone call) to contact your public officials. In speaking with legislators and other public officials at the local and state level, they tell me that they really want to hear directly from parents and families about education and not just special interest groups (like teachers’ professional organizations, superintendents’ professional associations, textbook companies, testing companies, and corporations who profit from public education to name a few). They suggest phone calls and e-mails, but are certainly willing to accept written letters as well. Many will write you back on official letterhead, acknowledging your concern, which makes a great show-and-tell item for students at school. For inspiration, take a look at the National PTA President’s letter to the President and Congressional leaders asking them to focus on education. What to Say – What Are Your Priorities? What Are You Passionate About? Think about your child’s school, your friends’ children’s schools. What is lacking? If your first thought is money, think about what areas specifically are lacking funds. Textbooks? Is the building falling apart? Are the buses 20 years old? Do the teachers need more training? Do salaries for teachers need to be increased? Do more aides need to be hired? Speak from your heart. Speak from what you have seen and witnessed at your child’s school. What do you want from your elected officials? You can write your thoughts based on gut instinct and observation, or you can take the time to talk with your school’s teachers and principal and other school officials and ask them what they need. Tell them you are going to write to your elected officials as a parent and you want to represent their needs fairly. Believe me, teachers and school officials usually know exactly what is needed in their school to improve student achievement and prepare children for a successful future. Listen to what they say. Question what you don’t understand. These conversations are a great way to get to know each other and may even spark innovative ways for your school community to help your schools! What does your wish list look like? You know you have these conversations at the ball park, at churches, in the grocery stores, at PTA and PTO meetings, in booster clubs. What are parents talking about? What are teachers talking about? What is important to your school community? In what areas do you need your elected and appointed officials’ help to get your wish list granted? Everyone has at least three layers of officials that have an impact on education policy or funding: local, state, and federal. Local can be city or county (or both in the case of a city system that receives some of its funding from a county). Start by downloading this form that you can fill in straight from your computer as you hunt and dig through web sites for contact information. [Word Format or PDF Format] Sure, I could have filled some of the federal stuff for you, but investing the time in finding the contact information ensures you’re invested in the task. Let’s start with your local officials. Most, but not all, local officials offer some discretionary (meaning they get to decide if they want to give the schools money or not) money to our local school districts. You need to know who these people are and how much money they oversee with respect to your school system. Your local officials could be your city council, your county commission, and everyone will have a board of education. Not all boards of education are elected. Appointed board of education members should be on your list, too. Each county has a county commission. Those are districted seats, and you will have one elected commissioner to contact. Here’s a list of County web sites from the Alabama County Commissioners Association. I am unable to find a database of county commissioners, so you’ll have to find those on your own by poking around the web site or picking up the phone. If you are located within city limits, you need to find your city council members, too. If your city has a web site (most do), check there to determine if your city council is elected “at large” (meaning you vote for all of them) or by district (meaning you’ll only vote for one of them). Here’s a directory of existing city web sites. Here’s a link on the ALSDE site where you can pick your system, then school (you can just choose “Entire System”), and it will list your board of education members for you. The best place to find your board of education’s contact information is on your school district web site. 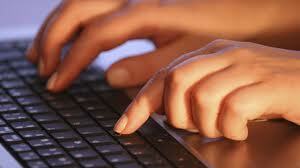 Here’s a list of all school district web sites in Alabama. Most all of them have their board of education members’ names. You can use the school district’s central office address if you can’t find a personal contact address. You are represented by one Senator and one Representative at the state level. Here’s Governor Robert Bentley’s address. He represents all of us and serves as the President of the State Board of Education. Make sure to include him in any correspondence. You have one representative on the State Board of Education. Here are their names. And here is a district map. Once you have your state-level legislators’ names, time to find your federal Congressional representatives’ names. Click here to enter your ZIP+4 to find your federal officials. The Congress.org web site suggests writing e-mails to your federal officials and even provides a way for you to write to all of your elected federal officials at the same time! Here is the full Congressional list of contact information if you prefer to send a written letter. You’ve Got Their Names and Contact Info – Write the Letter! The National PTA recommends writing a one-page, three-paragraph letter to your elected representatives. Your first paragraph should give your reason for writing and indicate if you are connected with any particular organization (only if you are writing on the organization’s behalf….otherwise, you are simply a parent and/or a member of your school community). If you have children or grandchildren in school, tell them. If you do not have children in school, you could indicate that you are writing because public education is very important to you. In your second paragraph, identify your burning issue (remember, no more than one or two per letter). If you have any facts or data to back you up (remember PARCA’s test data? Here’s a good opportunity to use it! ), include it. Maybe you want to call their attention to an article from your local paper or al.com. Include the link. Include a personal story about why you care about this issue. Remember: you are trying to persuade them to care. Of course, reminding them that you are a registered voter and vote in elections is always helpful, too. If you choose to make a phone call instead of writing (which works well for local and state officials), write out a script for you to follow so you don’t forget the important points you want to make. 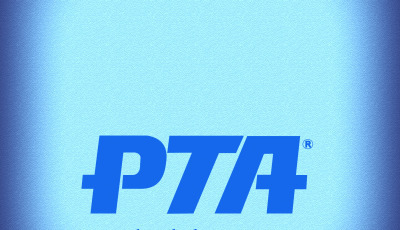 PTAs and some PTOs hold legislative forums where state-level legislators are invited to a meeting of PTA and PTO officials in a district, or multiple districts, and are asked a series of questions about the upcoming legislative session and what their priorities are for that session. (If you are interested in hosting one, I am happy to provide assistance. Two of our Birmingham-area districts do an excellent job with their forum.) The time is now to plan those forums, as state legislators are getting their priorities in order for the next legislative session, which starts February 5, 2013. Anytime your local League of Women Voters or other civic group holds a meeting where your elected officials will appear, prepare your 2-minute speech about what you want that official to focus on and fix. 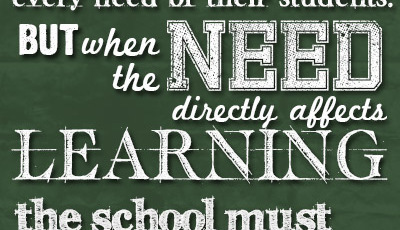 Even if education is not at the top of your list of concerns, if our elected officials don’t hear from parents and families (and directly from teachers for those teachers reading this….don’t rely on your professional organization to speak on your behalf), they will have no idea what we’re concerned about and will listen instead to those special interest groups named a bit earlier. While it seems obvious, the most important thing you can do is actually send your e-mail, fax or letter, or make that phone call. Even if you choose to sit on your letter for a day or two, please don’t forget to follow through and ultimately send your correspondence to your elected or appointed official. While some school communities and public officials are good about gathering public input, most of the time policies are made and laws are passed without anyone ever actually seeking the public’s input. Your only option is to be proactive and send your input without being asked. Our schools will only continue to improve is we, the school community, take the time to get involved and let our voices be heard. Not just at our local school building, but at our city halls, county commission meetings, state legislature, and in Congress. Our elected and appointed education officials need to hear from us, the people that they serve. Our children’s futures, indeed our country’s future, depend on it. We have a responsibility to our children to ensure our voices are heard. Please consider joining the Alabama Children’s Movement, just launched a few weeks ago by VOICES for Alabama’s Children. By gathering our voices together, and advocating on behalf of children, we will be heard by those making decisions on behalf of our school community. How Diverse Is Your School’s Student Body? 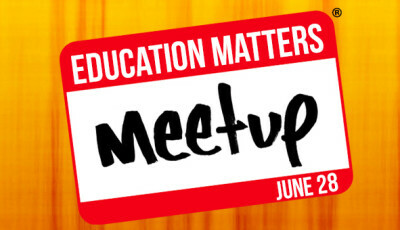 Education Matters – Let’s Meetup!